The FBI is reviewing the shady circumstances surrounding the dismissal of felony charges against hate hoaxer Jussie Smollett, two law enforcement sources confirmed with ABC News. All 16 felony counts against Jussie Smollett were dropped on Tuesday in exchange for a $10,000 bond and some ‘community service’ in a stunning display of lawlessness by corrupt Chicago prosecutors. The circumstances surrounding this case are definitely worth looking into in light of Kim Foxx communicating with Michelle Obama’s former aide and Smollett’s relatives. 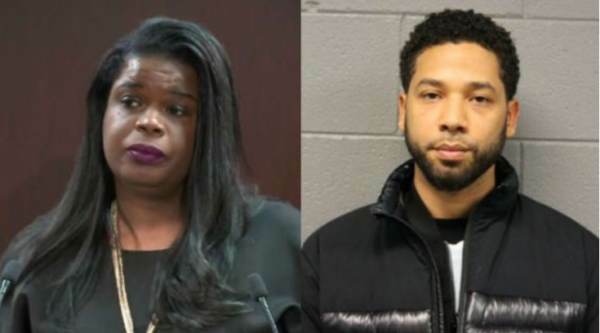 Cook County State’s Attorney Kim Foxx was communicating with Tina Tchen, a former aide to Barack and Michelle Obama about Jussie Smollett’s case shortly after the ‘Empire’ actor staged the hate hoax crime. The Police Union also wants federal investigators to determine whether Kim Foxx broke the law.